A brand new Mortal Kombat X trailer is making the rounds online, featuring some of the goriest gameplay we've seen yet. Warner Bros. and NetherRealm Studios has released the first gameplay trailer for Mortal Kombat X, the next instalment in the fighting game series. The two-minute clip shows off some new additions to the character line-up, including fan blade-wielding Kitana and deadly hat-wearing shaolin monk Kung Lao. You can see Kitana using her signature fan blades to full effect, especially at the end of the trailer in a brutal finishing move on Kano. Meanwhile martial artist Kung Lao looks to be bringing his trademark moves to the new game, including his dive kick and hat toss. We also get a sneak peak at Goro, one of the game's pre-order bonus characters. Although note that the four-armed villain is only playable if you pre-order Mortal Kombat X with UK retailer GAME. The new trailer has certainly lived up to our expectations, packing plenty of the badass content we've come to expect from the bloody fighting franchise. 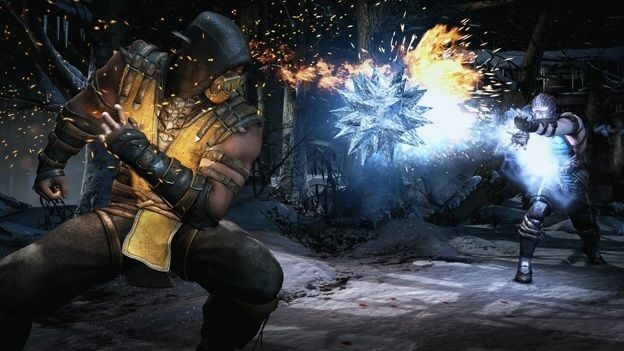 If you want to know more, then check out our Mortal Kombat X preview. Mortal Kombat Xwill be released on April 14 for PlayStation 3, PlayStation 4, Xbox 360, Xbox One and PC.